With all the heat styling and color processing I do to my hair, masks are essential! I struggle with an oily scalp and dry ends so my biggest concerns are moisture, nourishing and strengthening my strands. Masking 2-3x/month is typical for me, though I have been trying to stick to 1x/week recently and have noticed a major difference in my hair. 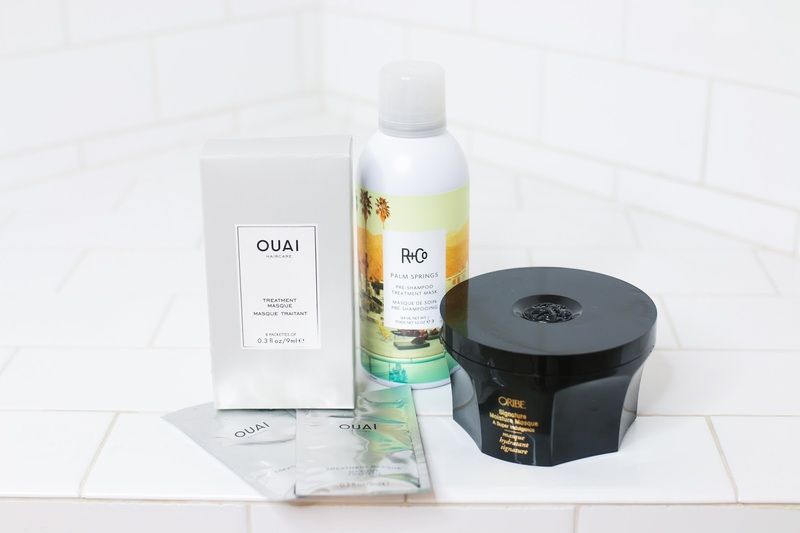 My favorite hair mask of all time was discontinued and I only have a tiny bit left, so I was on a mission to find ones that could continue its stellar work. I tested out quite a few but these 3 were the stand out favorites. 1. 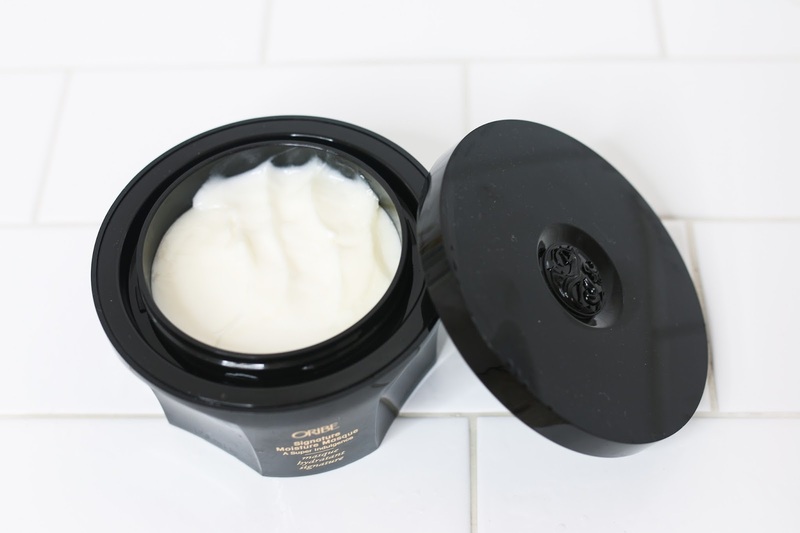 Oribe Signature Moisture Masque - I am a huge fan of Oribe products, and already went through an entire shampoo and conditioner in this Signature Moisture range. This is the mask that I reach for when my hair is at its driest and desperately needs moisture. It's a tad too heavy for my roots, so I concentrate this on the ends and comb through from the base of my scalp down. Only a small amount is needed but I find that it works wonders to makes my ends look fresh and my curls smoother. I can imagine that this will be my best friend come summer when the humidity is in full force and the sun is wreaking havoc on my ends. This does for my hair what many of my favorite hydrating moisturizers do for my face - gives it an instant shot of water. 2. R+Co. Pre-Shampoo Treatment Mask - I was not quite sure how to use this one when I first saw the name. A pre-shampoo treatment? On dry hair? Hmmmm....But then I saw that it can also be used as a traditional mask on wet hair after shampooing. I tried it both ways and to be honest, I like either one because the results are fantastic! The texture is a fluffy foam that I work into the ends of my hair and then comb through so it gets distributed everywhere. This mask gives me tons and tons of volume and makes my hair bouncy and healthy looking. When paired with this shampoo, the volume is even better. I love it! 3. 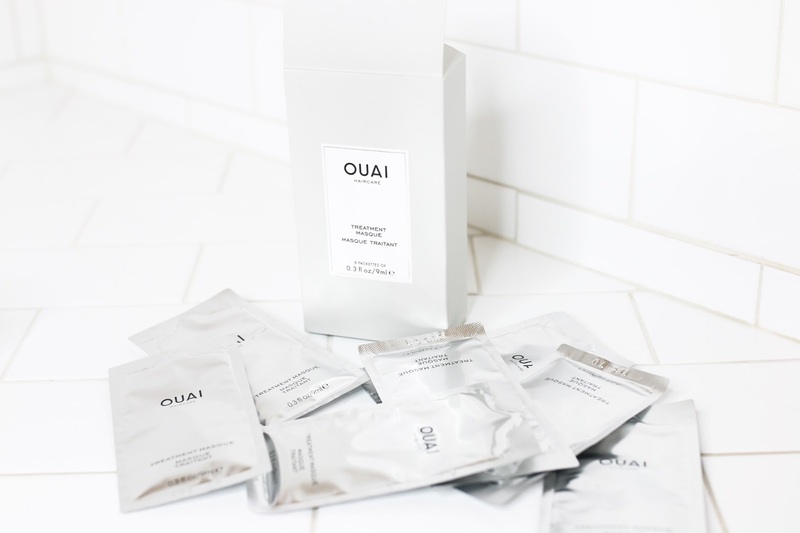 Ouai Treatment Masque - I saved the best for last in this post. I absolutely adore this treatment masque. It's a creamy texture much like the Oribe and one packet is enough for my entire head. It instantly detangles, and then I use a wide tooth comb to make sure it distributes evenly. I concentrate it more on the ends than at the roots, but I don't find that this will weigh my roots down if I use it there. 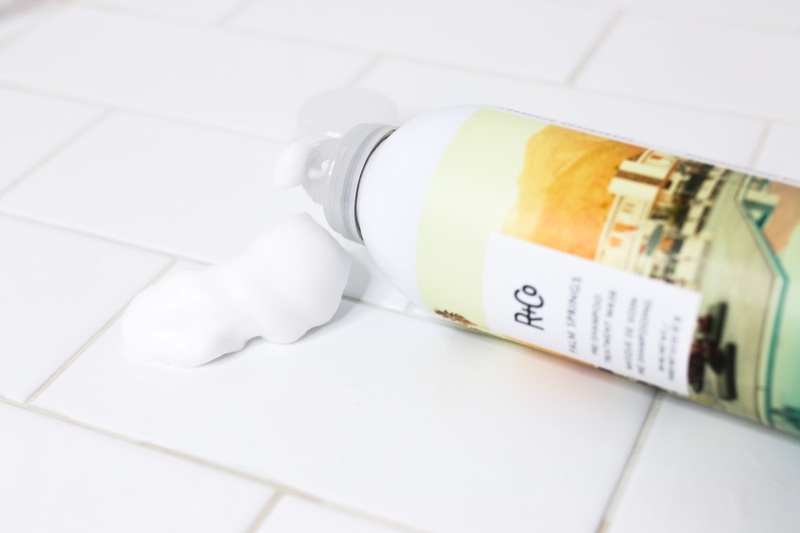 After just one use, my hair looked instantly refreshed. Shiny, healthy and smooth without looking flat. My only complaint is that I wish they had the option to buy it in a tub or tube. I love the packets for travel, but I know I will go through them way too quickly when using regularly.